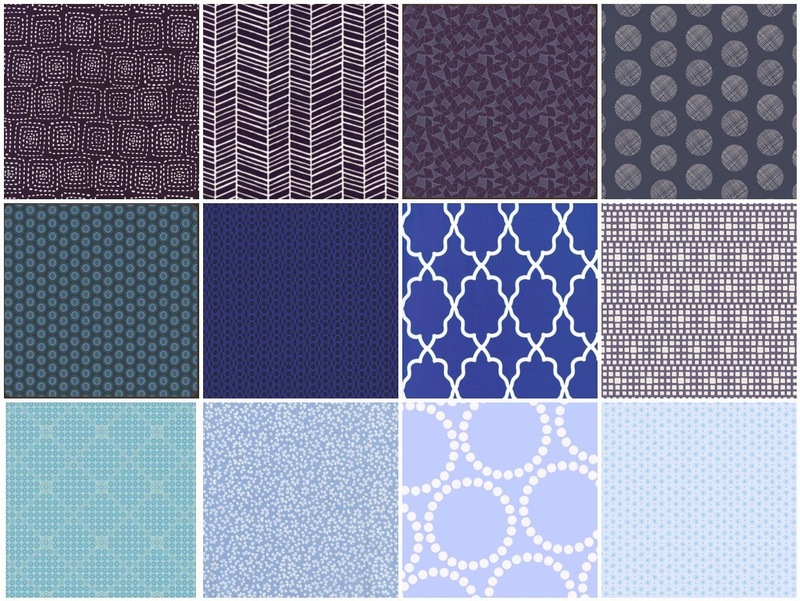 Pink Castle Blog: Stash Stack Club - Blues for February 2014! Stash Stack Club - Blues for February 2014! This month's blues are sorely needed in my stash. I have SO many aquas and teals but just not enough really good navy and blue fabrics! I've used up a lot of what I had from last year's club too! Hope you are staying warm! It seems like everyone is getting snow!